The items on this page are available through list members Dan McCann and Georgianne Saraco's business, Only Good Stuff(OGS)Distributing. All items feature the official GN/T-Type list logo and a proceeds from sales of these items directly support the operation and upkeep of our mailing list and web site. Enter your name, email address, phone number and shipping address below. Then, using the form, select the items you'd like to order. After you've reviewed your order, click the "Checkout" button to submit it. After your order is submitted, a confirmation page will be displayed. Please be sure to indicate all the items you'd like to purchase before clicking the "Checkout" button to avoid having to submit multiple orders. Dan or Georgianne will contact you directly to confirm sizes, quantities, colors and pricing and to make payment and shipping arrangements. If you'd prefer to order by phone, please call Dan or Georgianne at 1 (412) 655 8787 and reference the item numbers and descriptions on this page. 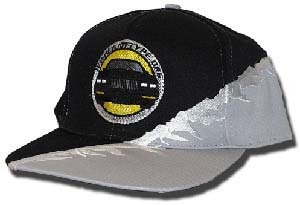 This cap is constructed of 100% cotton twill fabric and features a leather strap closure with a brass buckle. And of course, it has the official GNTTYPE logo embroidered on the front. 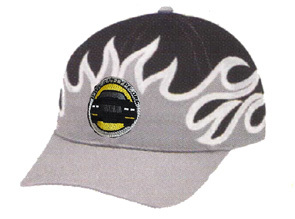 This cap is constructed of 100% cotton twill fabric and features an adjustable velcro closure. And of course, it has the official GNTTYPE logo embroidered on the front. This full-cut shirt is constructed of a 50%/50% of cotton and polyester. 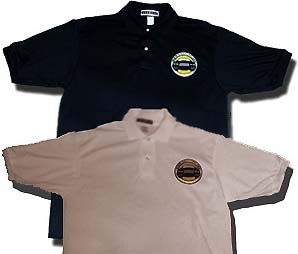 It features a two-button placket with pearlized buttons and rib knit sleeve bands. And of course, it has the official GNTTYPE logo embroidered on the front. This full-cut shirt is constructed of 100% cotton. 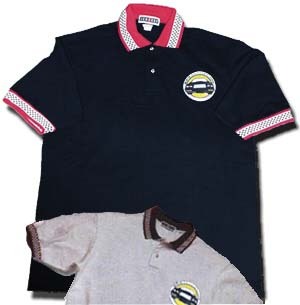 It features a two-button placket with horn buttons and a checkerboard collar and sleeve bands. And of course, it has the official GNTTYPE logo embroidered on the front. 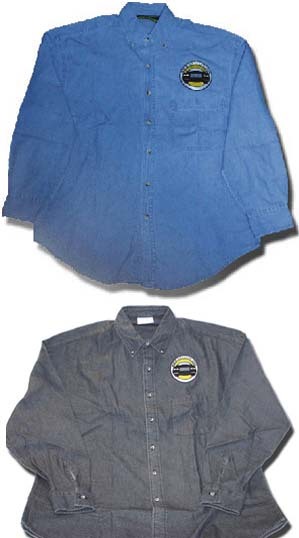 This enzyme-washed 100% cotton shirt features a button down collar, a generous full cut, and a chest pocket on the left. And of course, it has the official GNTTYPE logo embroidered on the front. 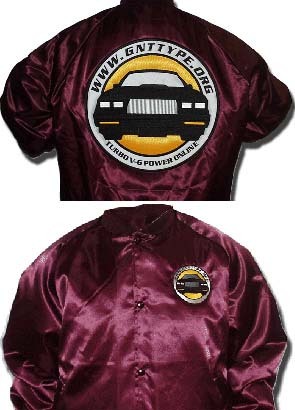 These jackets feature a 100% nylon shell and a snap front. Available with a flannel or quilt lining. You can have the official GNTTYPE logo embroidered on the front left chest, back, or both! Please indicate your color selection below. Your selection will be confirmed via email or phone before the order is processed. These jackets feature a wind proof, water resistant Toughlan nylon shell. Two front pockets, plus an inner right chest pocket. Available with 6 oz. or 10.5 oz. Panda fleece. You can have the official GNTTYPE logo embroidered on the front left chest, back, or both!